Andrew WK is a lot of things: king of partying, party businessman, excellent partier and friend to children and animals. He’s also apparently really good at punking the internet, since a single unsourced blog post announcing his appointment to be a cultural ambassador to the Kingdom of Bahrain was reblogged today by everyone from Pitchfork to NME to the Huffington Post to Fox News to Vulture and everyone on your Facebook feed. But wait — why does every single news story about this link back to either Andrew WK’s own web site or the other news stories about it? 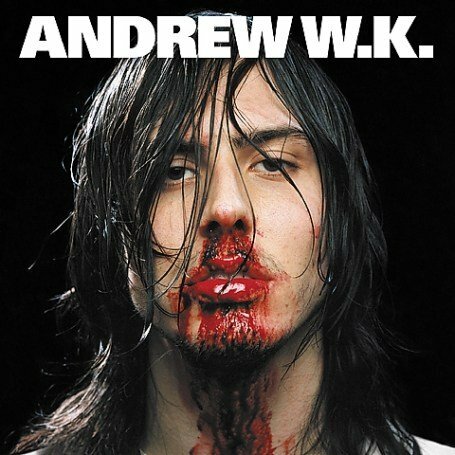 But really, Andrew WK? The guy whose first album had a cover photo of his face drenched in blood? The guy who said “piss yourself” as a party tip? Who made a video called “Yoga Til You Puke?” And the State Dept. is sending him in an official capacity to Bahrain, an autocratic Middle Eastern kingdom where shari’a law rules? A country fresh off a bloody, repressed rebellion? No one thought that maybe this wasn’t exactly sending Duke Ellington’s orchestra to the Middle East? The State Department’s website makes no mention of Andrew WK at all. So we called the agency’s press office, where a communications staffer told us that she hadn’t heard anything about Andrew WK or his new post. She said she’d call back on Monday morning when she found out more. We’ll pass along any information we get. For now, we may be going out on a limb here, but let us be the first to tell you: This is not happening. But hey, he’ll still always be an ambassador for Bushwick. UPDATE: As we predicted, Andrew WK will not be traveling to Bahrain as any sort of cultural ambassador. It turns out that the rocker merely had an invitation to speak—but even that was revoked because it didn’t pass muster with the State Department. We don’t yet know why the appearance was canceled—or who had the notion to invite him—but it’s clear that Andrew WK will not be Bahrain’s “Cultural Ambassador of Partying,” as he wrote on his web site, and was never going to be exactly that in the first place. Nor will Andrew WK be sent to the Middle East “in the tradition of the American Jazz Ambassadors” from the 1960s, as he also proclaimed on his site. WK has issued a Twitter reaction, and seems pretty floored by the way things have unfolded. I'm just blown away. After a year of planning, the US State Dept. just canceled my Middle East trip because I'm too party. His web site promises a comment on the situation soon.